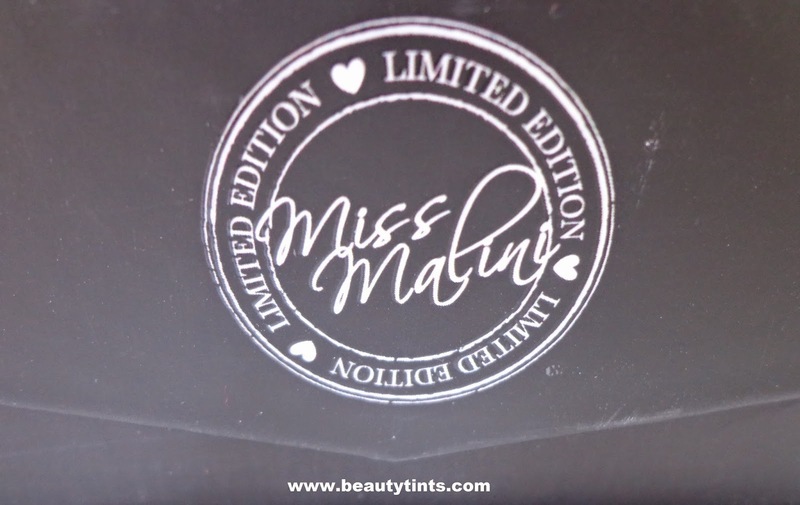 Came home today after a long trip and the first thing I did was to check the contents of the Valentine Special February Edition of 'My Envy Box' known as the Miss Malini's Box of Love.This time all the contents came in a cute black and pink combination box. 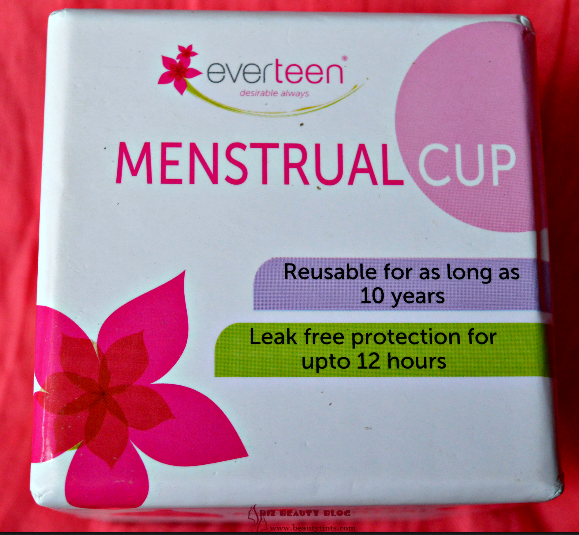 This time the pouch is so girly with pink color. 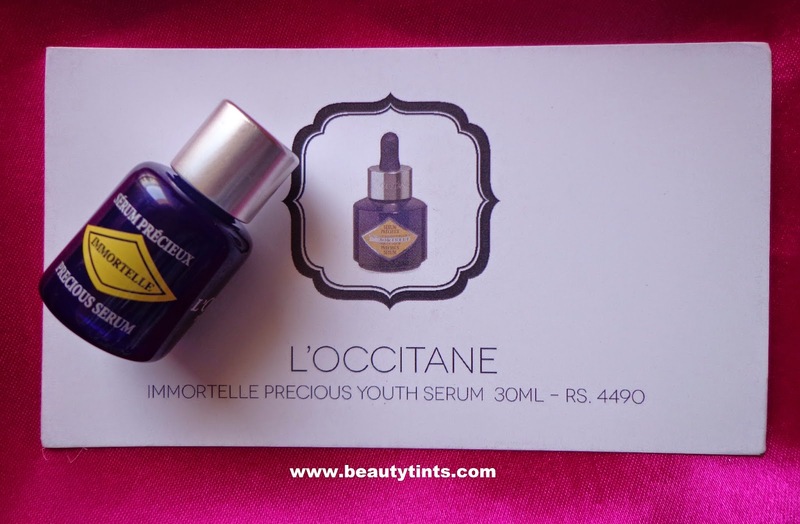 1) L'Occitane Immortelle Precious Youth Serum(7 ml) : Rs. 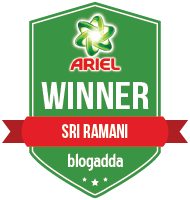 4490 for 30 ml : I am happy to receive this award winning serum that helps in refreshing the skin as well as in making it firmer.The best part is that I received a 7 ml sample in acute little bottle instead of sachets. 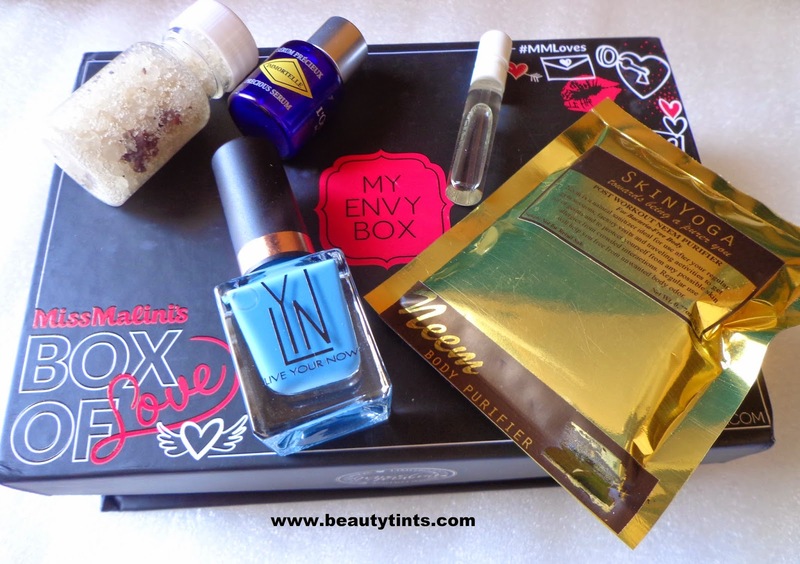 2) LYN Nail Lacquer in shade- No Morning Blues(12ml) : Rs.350 for 12 ml : I have not heard about this brand before but I liked the bright blue colored shade,which I received and more over its a full sized product. 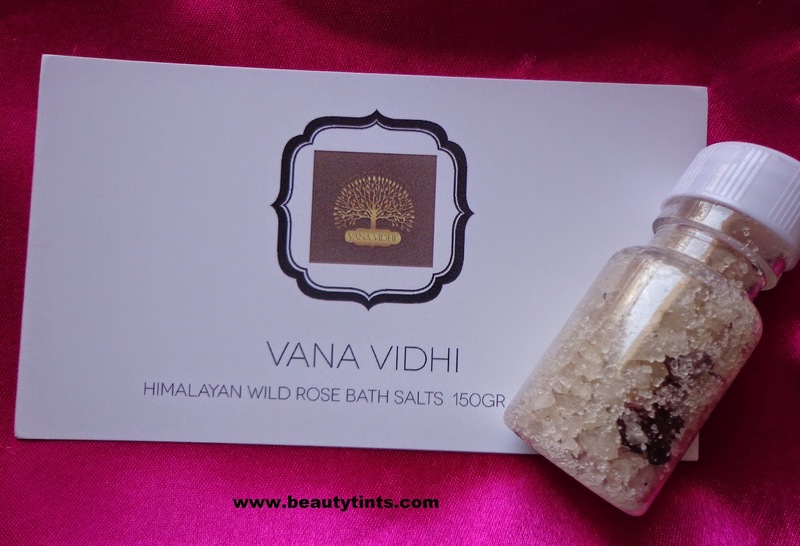 3) Vana Vidhi Himalayan Wild Rose Bath Salt : Rs.990 for 150 gm:: This is a pre-launch exclusive product which smells absolutely divine.I am super excited to try this asap. 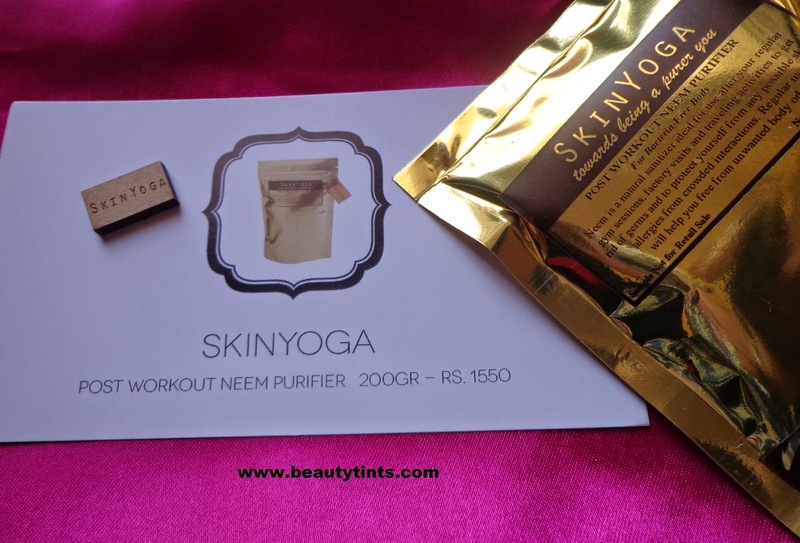 4) Skin Yoga Post Workout Neem Purifier (22 gm) :RS.1550 for 200 gm :: I have received few products from Skin Yoga in previous Boxes,which turned out good for my skin.I am looking forward to use this soon. 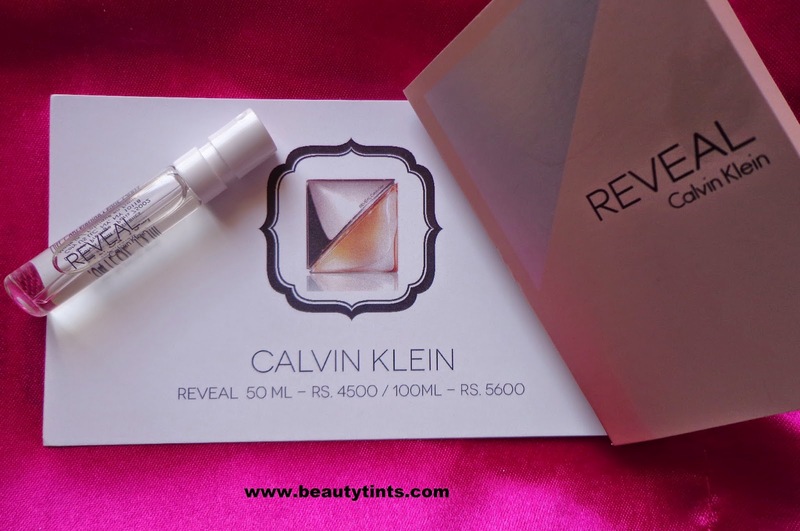 5) Calvin Klein Reveal (1 ml) : Rs.4500/5600 for 75ml/125 ml :: I became a total addict for perfumes just because of My Envy Box, as it is giving me a chance every time to try new fragrances each time.This particular Reveal is very sensual with rich base notes of Sandalwood,Cashmere and Musk. 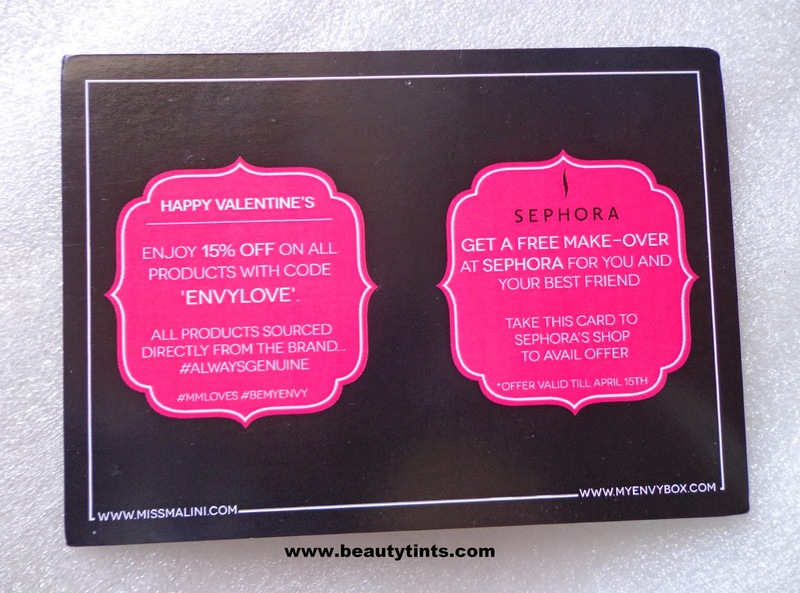 Along with these there is also a card which entitles for a make-over at Sephora for you as well as your friend along with a 500 rupees gift voucher from H2O+. 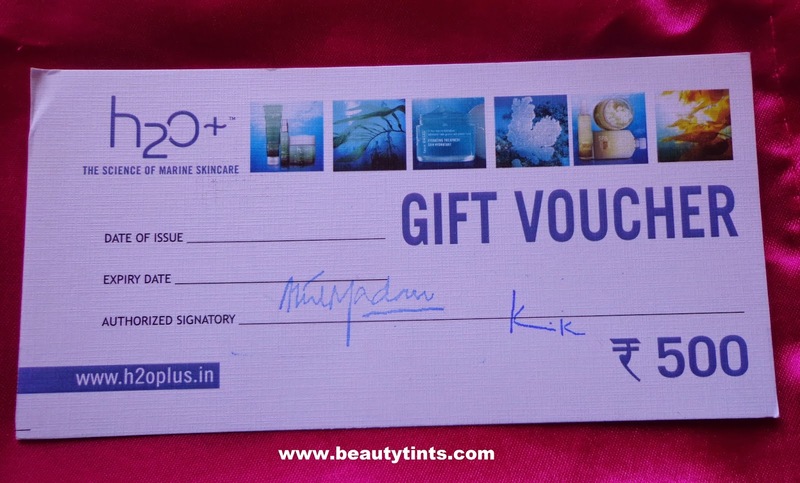 Sadly,there is no H2O+ stores here in Bangalore,where I can redeem this! 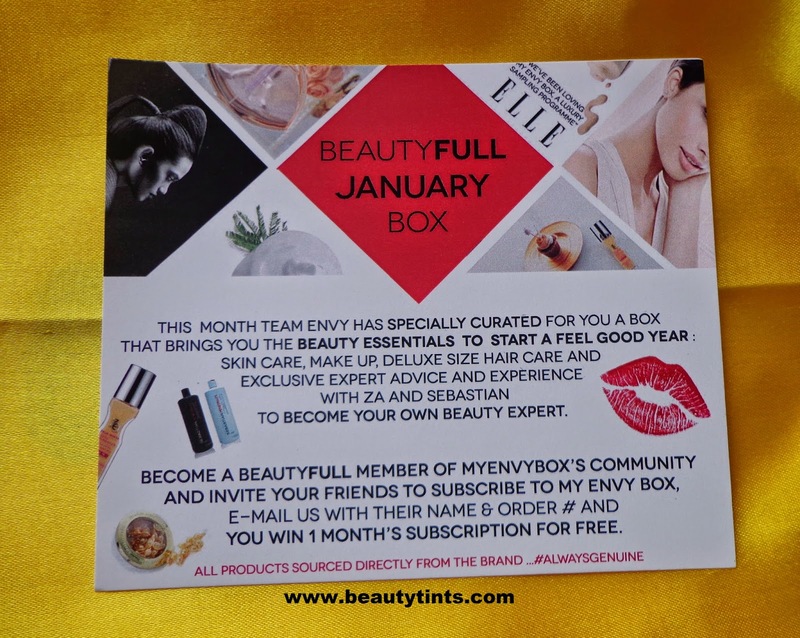 Final Conclusion About 'My Envy Box' January 2015 Edition Review : Overall, a lovely box again with a great mix of samples of skin care,bath care,make up,fragrance from luxury and prestige brands. 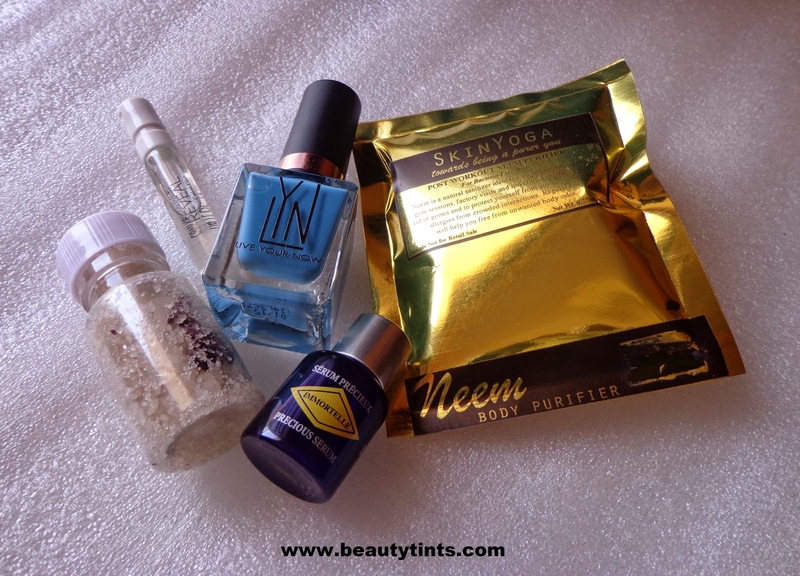 Also check out the review of February Fab Bag here.